How is everyone’s week going? Mine is flying by, my kids are home all week on their Spring break and I am one busy Mama! 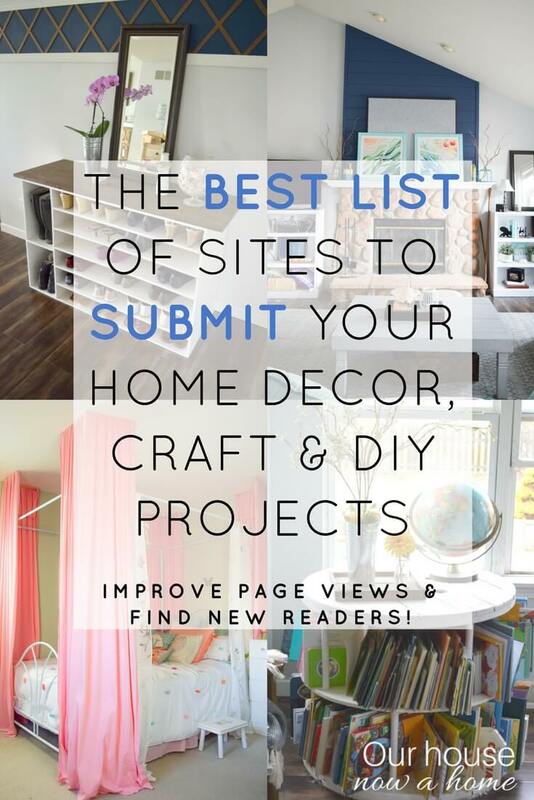 There is also a lot of projects, crafts, and DIY projects happening around here. I hope to share a few of them next week, I seem to be constantly working on something, my home is my passion. 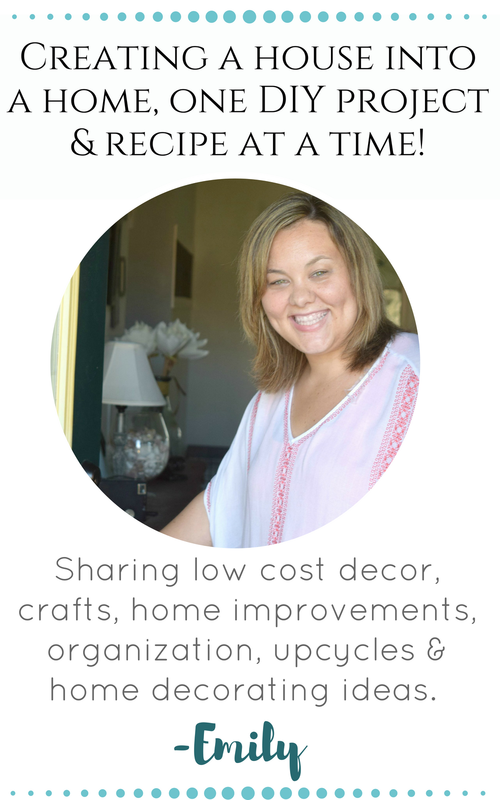 Because I am always thinking of my home, I tend to rush through DIY projects, especially when it comes to ideas here with my blog. 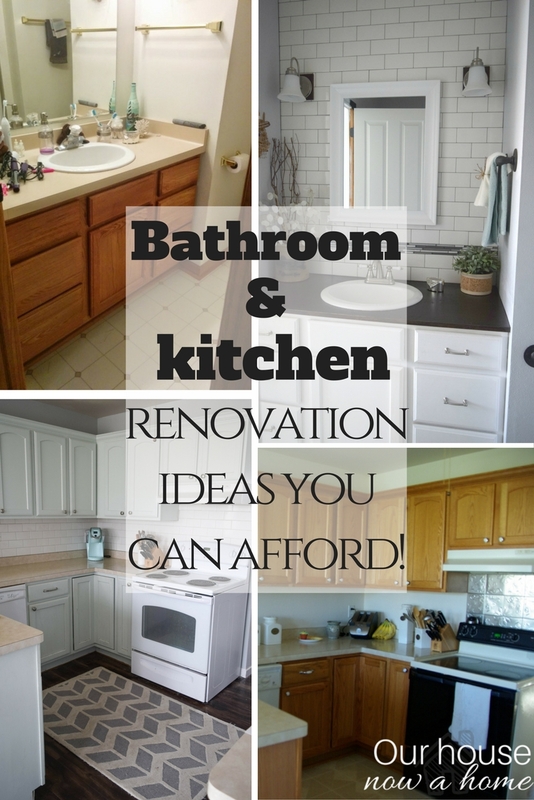 Today I am sharing Bathroom and Kitchen Renovations You Can Afford. 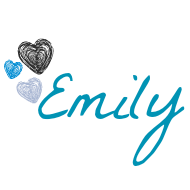 I have done many updates to my home and some of them get glossed over, or were shared a while ago here on the blog. So this is a bit of a refresher course, breaking down just how I got a light and bright kitchen and bathroom without breaking the bank. Renovations do more than just increase the value of your home, they turn a house into a home. 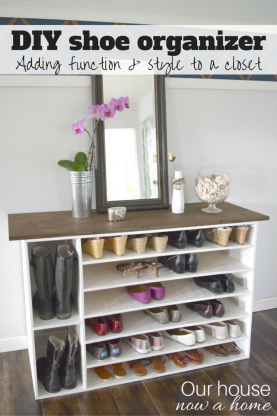 Do it yourself projects are a great way to make updates within a budget. When investing in home improvement, focus on affordable renovations to spaces used every day. It is great to make a space your own, but if you wish to sell one day, consider compromising a little flare for better returns down the road. Typically updates to a kitchen or bathroom are better investments than a full overhaul. We are still unsure of our long term goals with our home, one day we are planning to live here until we are old and gray. The next day we want to build our dream home, and the following day we want an old fixer upper to move into. Since we cannot commit to a long term plan just yet any updates I do to the home I keep in mind being happy with them long term or having them be universally liked if we ever put the house up for sale. Small updates in the bathroom can go a long way. Start out by replacing those one-handle clear plastic faucets with new ones. These types of handles start looking gross after time. They are easy and affordable to replace. 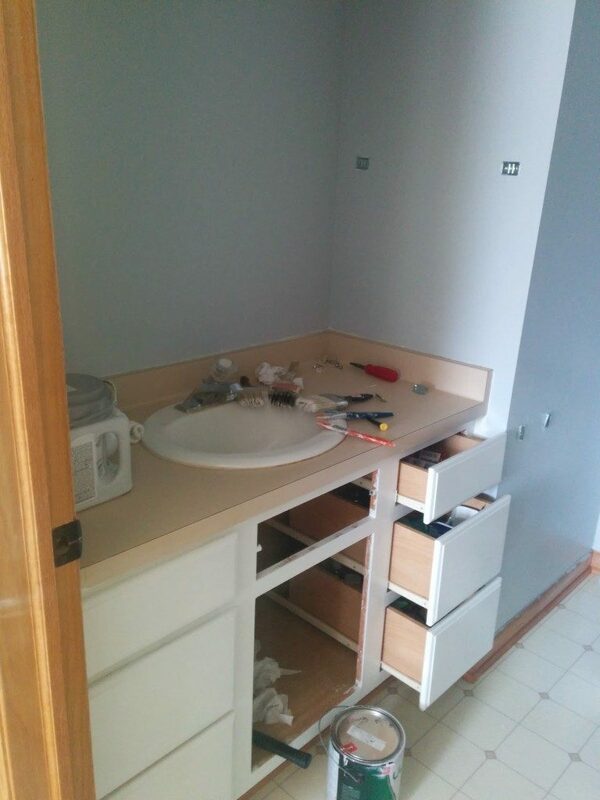 Instead of purchasing new cabinets, give the current ones a face lift. 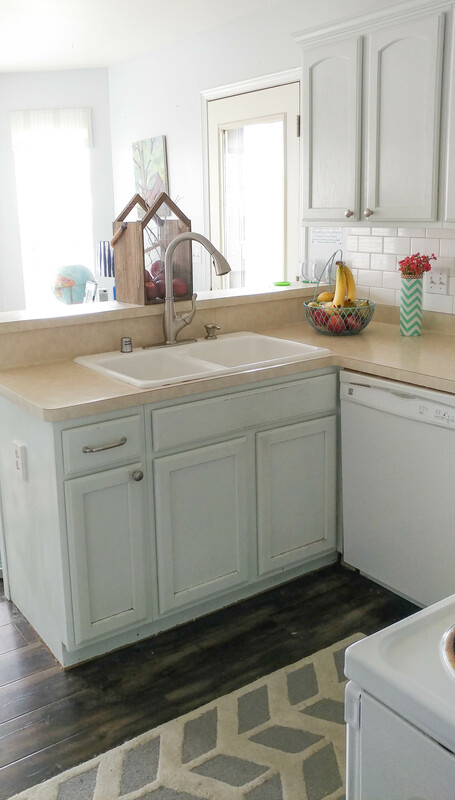 A fresh coat of paint and modern knobs and handles can have surprising results. If you have a large boring mirror the mirror from the wall entirely. A good scrub down of the grout between tiles can make a grungy bathroom look fresh and new. I gave my master bathroom an update in smaller ways. I started by painting the existing cabinet, adding new hardware. I also added new back splash up one wall. I did not change out the flooring, yet. That is my next step. I also did not do anything with the drop in shower. In time those larger updates will happen, they are typically more money and time. 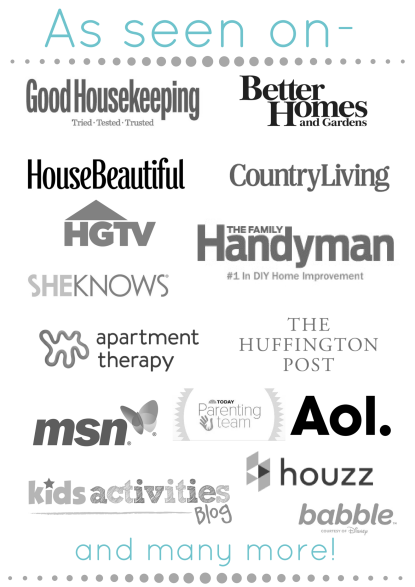 Which ends up with great results, I am just not there yet in my home renovation journey. The smaller updates I did was just the change I needed for the space. If your bathroom is really outdated, it might be worth stripping the room down to studs and plumbing. Replace the floor with nice new tiles. When purchasing a new vanity, solid surface vanities are the best. Bowl sinks with fancy faucets look great on television but are not practical in a well-used bathroom of most homes. Changing out the hardware is one of the the easiest and most cost effective change you can make. 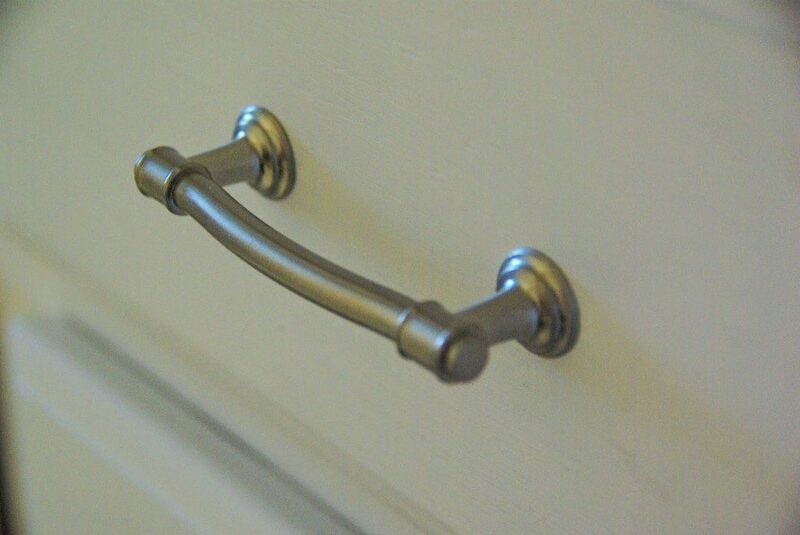 Adding door handles or drawer pulls automatically creates a custom look to the cabinetry in a bathroom. 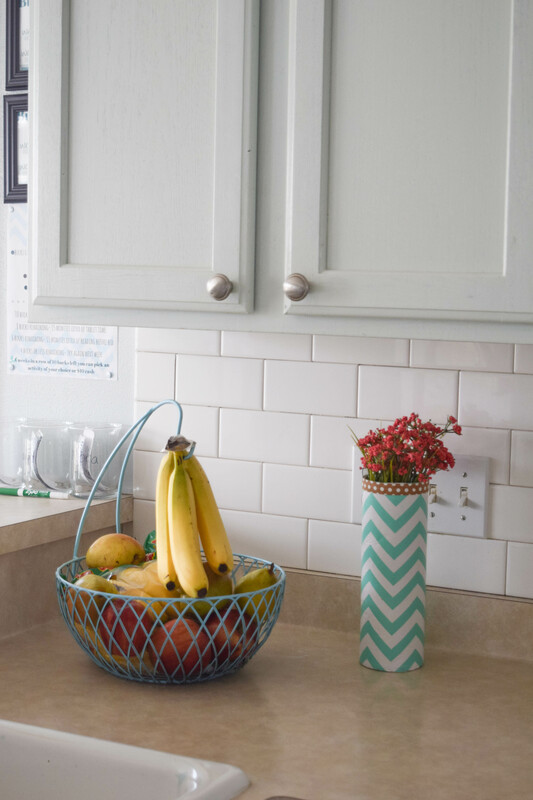 As far as back splash, a white subway tile is a great option. It is simple to do on your own if needed, with only simple and straight cuts. 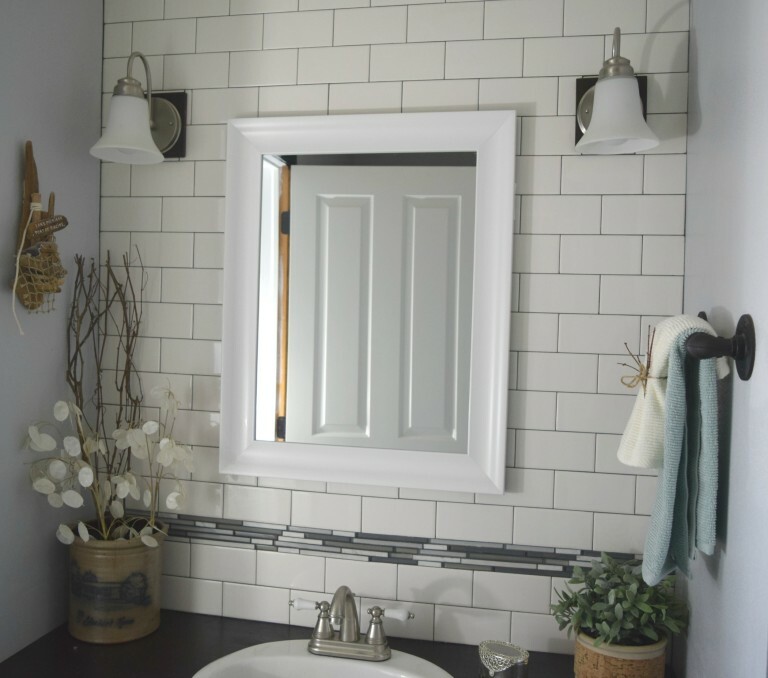 Subway tile is also very low cost. Lastly, they have a very timeless and classic look to the tile, so it will not fall out of trend too soon. Cosmetic fixes in the kitchen are a great place to start when looking for a budget-friendly update to your boring old kitchen. Start with knob and pull replacements. Painting cabinets can be a time-consuming project, but when done right, it can add value and make your kitchen look brand new. Replacing old fixtures is another affordable way to make an old space look and feel new. Replacement facets don’t need to be overly fancy. Keep things simple and classy. 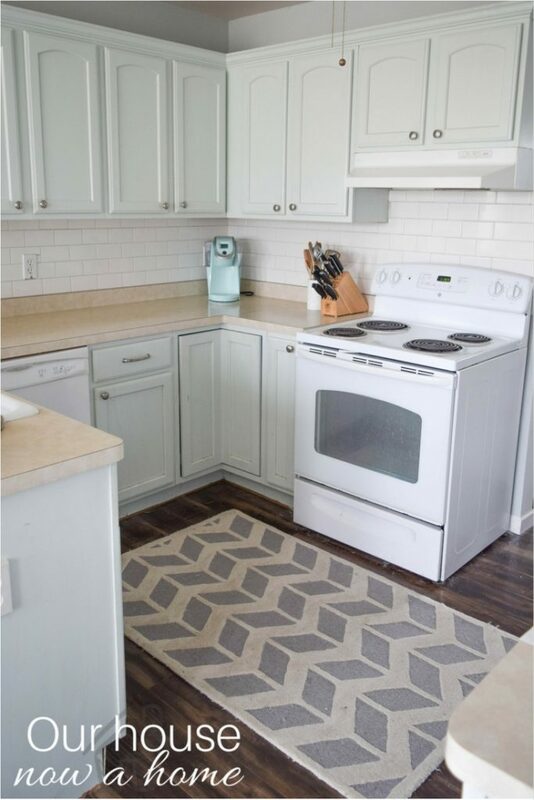 I painted our kitchen cabinets and added a back splash, again keeping it simple with the subway tile. Along with adding hardware, and eventually wood floors in my whole home this kitchen was transformed with minor upgrades. The kitchen is a heavily used room in most homes, even though ours is small it is still the place everyone seems to congregate. A big dream kitchen is hopefully in my future, but for now I have to work with what I have, and I have a small kitchen with great natural lighting. A beautiful and functional kitchen makes cooking a joy rather than a chore. 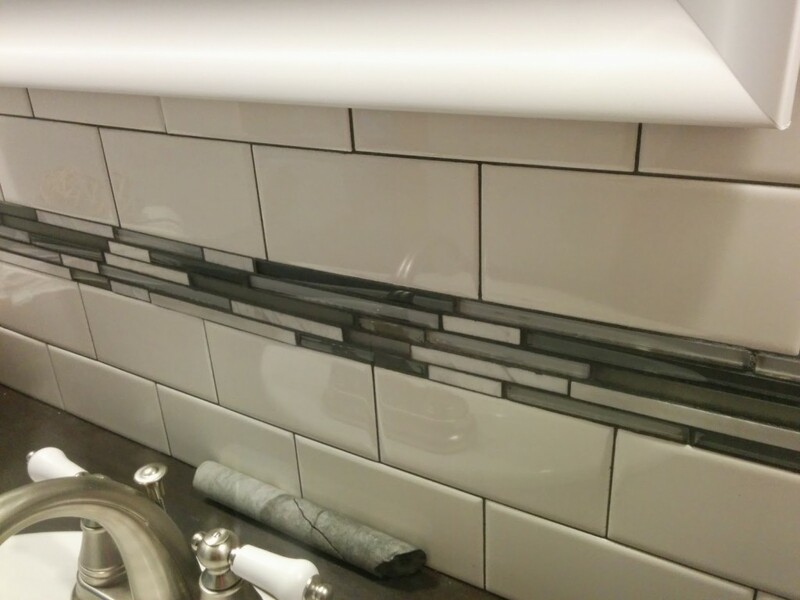 Updating a back splash is a small renovation that adds a lot of visual appeal. Purchasing all new cabinets is a huge project. Although new counter tops are not cheap, it is worth the extra investment and a more realistic update for most than buying all-new cabinets. Not everything is DIY friendly for the average joe. Certain projects are worth investing a little more time and money into, so you get a professional outcome. 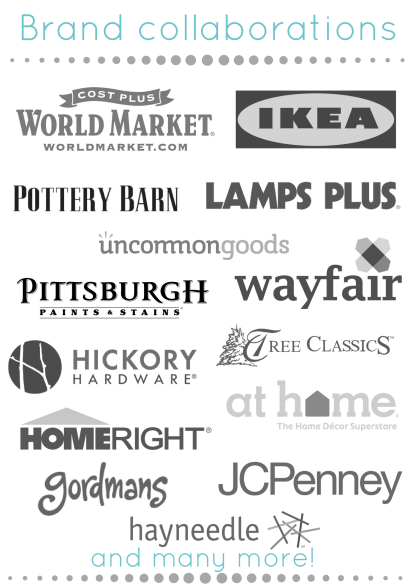 Professional stores like Superior carry everything you need to remodel your home kitchen and bathroom at a reasonable price. Most homes can suffice with some cosmetic face lifts. 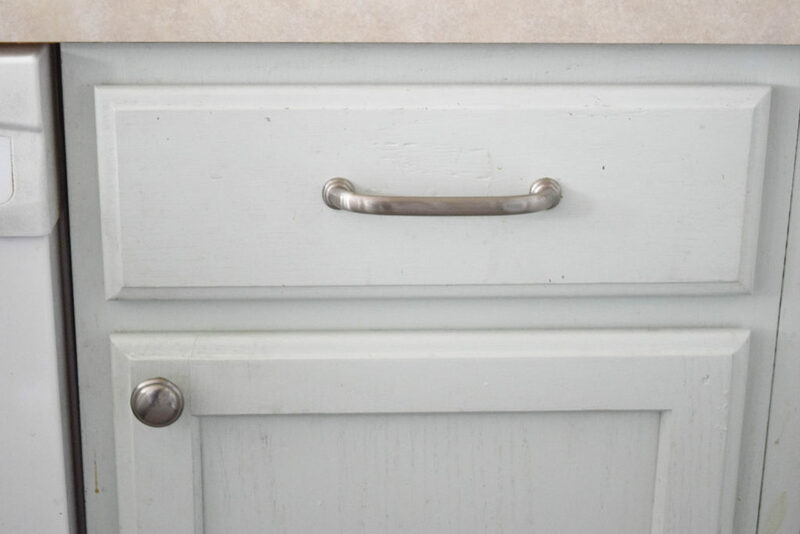 Switching old, outdated knobs with modern handles and pulls and adding a fresh coat of paint is a great, affordable renovation project. Some spaces need a little more TLC. When going with new fixtures, remember simple, classy is the best approach. You want your home to remain functional after the updates. 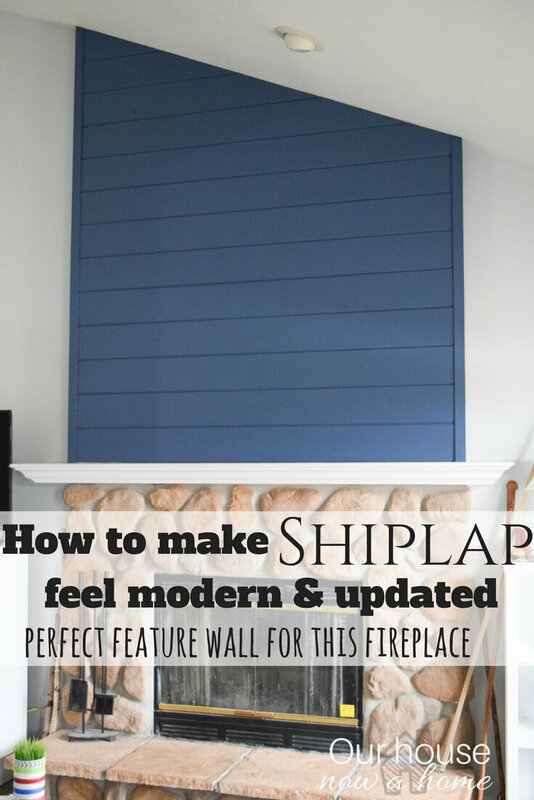 Since we are unsure of the future with our home, we have kept all of the updates to smaller projects. Eventually we plan to add new counter tops to the kitchen, tile the shower and get a big soaker tub. But first we need to know if we are renovating for us or for a future buyer, which will have two very different plans of attack with renovations. But, these Bathroom and Kitchen Renovations You Can Afford is a great way to make your home feel more “you” while things are figured out, while the money is saved or the plan is set up. All of the renovations we have done to our home up to this point have been very low cost, and most were done with little DIY skills. The best option is to find a look, color scheme, and just jump into it! Turning your house into a home is a process, and we all have real life responsibilities to take into consideration. 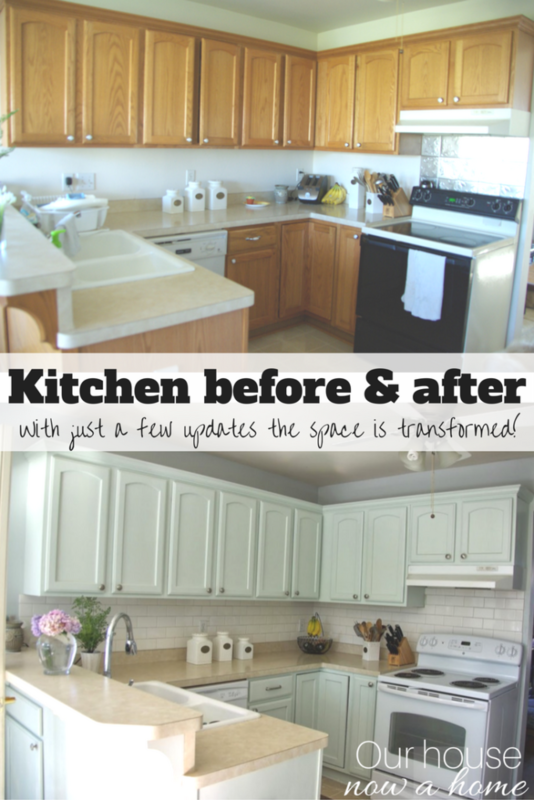 Going into debt for the sake of a new kitchen is not needed, these smaller updates is the perfect sweet spot of creating that home of yours without sending you into the poor house. The before and afters are amazing! The paint on the cabinets is transformative. Loving the hardware you picked. Can’t wait to see what flooring choices you make! We live in an old trailer that I ant to start revamping. I want to start with a deck so I can get into and out of my house. Your bathroom looks great. I have similar cabinets in our kids bathroom and was wondering how to spruce it up! Great inspiration! This is timely! 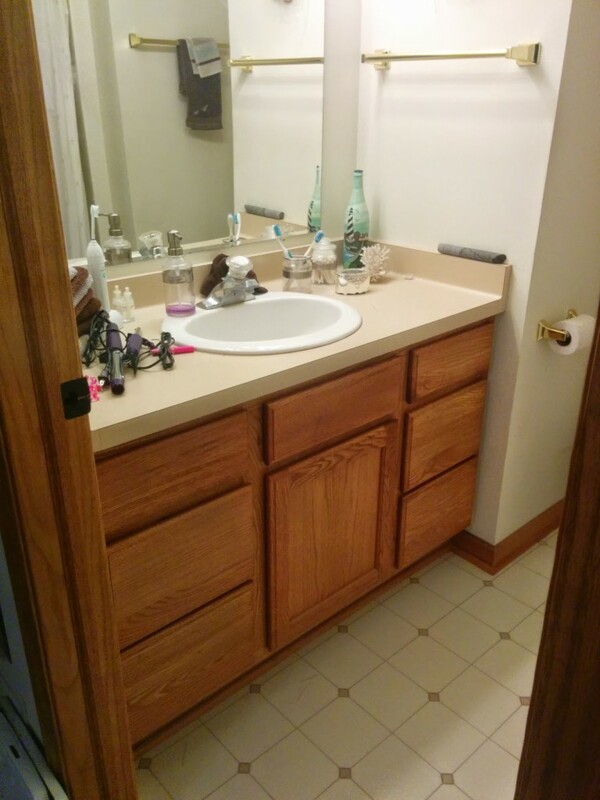 I want to redo my bathroom cabinets and update it a bit and of course I don’t want to break the bank! These changes are awesome. The white is so crisp and clean. I love it! I’ve always been afraid to do these types of projects on my own, but I feel motivated by seeing your success. After renovation, both bathroom and kitchen look amazing. Nice attempt. Hmm, these are some helpful ideas. I think the kitchen has to be a priority for me and painting the cabinets might be a good place to start. We just redid our bathroom in blue and yellow. 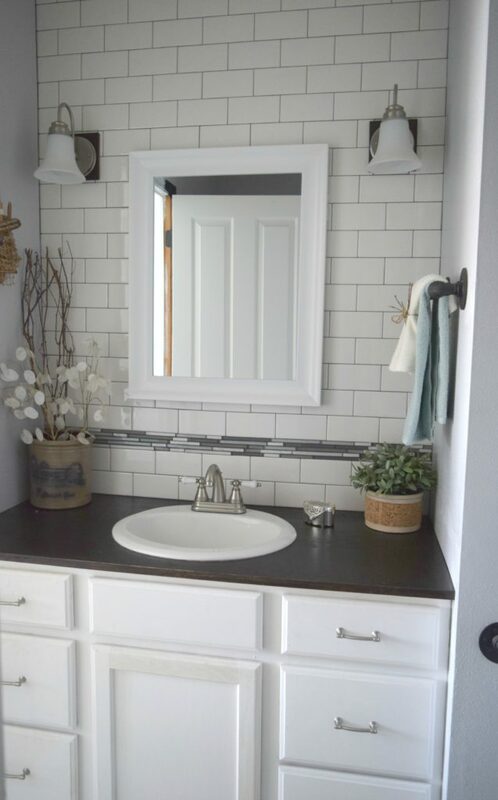 I’m looking for ways to update the mirror and sink. Hardware is the first option, but my hubby’s not keen on painting the cabinets. He believes it requires too much upkeep. I love your kitchen update! Such a great post. One of the most difficult parts of any remodel is finding affordable styles you like within budgets you can handle. I need to add a backsplash in my bathroom! I never thought of that before! My paint gets dirty and water stained all the time! I love the renovations! I have considered painting the cabinets a lighter color. It would really brighten the whole room. Oh wow, these renovations are beautiful! I love them both. I can’t wait to update my home! The lighter colors really brighten everything up. Your updates look amazing! You have great ideas! It’s truly amazing how a coat (maybe several) of white paint can transform a room. New hardware, faucets & backsplash really nice too. These are gorgeous! We live in an apartment now, but when we had our house in Oregon I loved doing DIY projects. Lol I see what you did there, you switched the colours. Nice job. It looks pretty andI love your gas cooker. I love the backsplash in the bathroom and it’s amazing how a coat of paint just brightens everything up. Both the kitchen and bath look amazing! This is awesome. I think it’s nice to check the room that you want to work on and see what you need to improve or fix. Renovations don’t have to be expensive. I just love the rug in your kitchen. I love that you can remodel your house and make it look great while being on a budget. I have been redoing a little at a time. I know eventually it will cost the same as doing it all at once, but it doesn’t ‘seem’ like it. I really like your style. I wish I could update my kitchen with white but I rent and it’s a no no per my landlord. I can buy that cute rug though. I am considering remodeling my bathrooms and kitchen. Thank you so much for the tips. Wow. What a transformation that was! Your bathroom looked like it is new and so did your kitchen. I have to take a look at my bathroom and see what I could do to improve the look and the functionality as well. Some nice ideas at affordable budget .. That is great !! great tips, love your style inspire me a lot! I really like your remodeled kitchen. I really need new cabinets for mine. Both the bathroom and kitchen looks amazing! Good job in renovating. Very inspiring too.